Two towns on my journey north provide rich rewards for looking down. 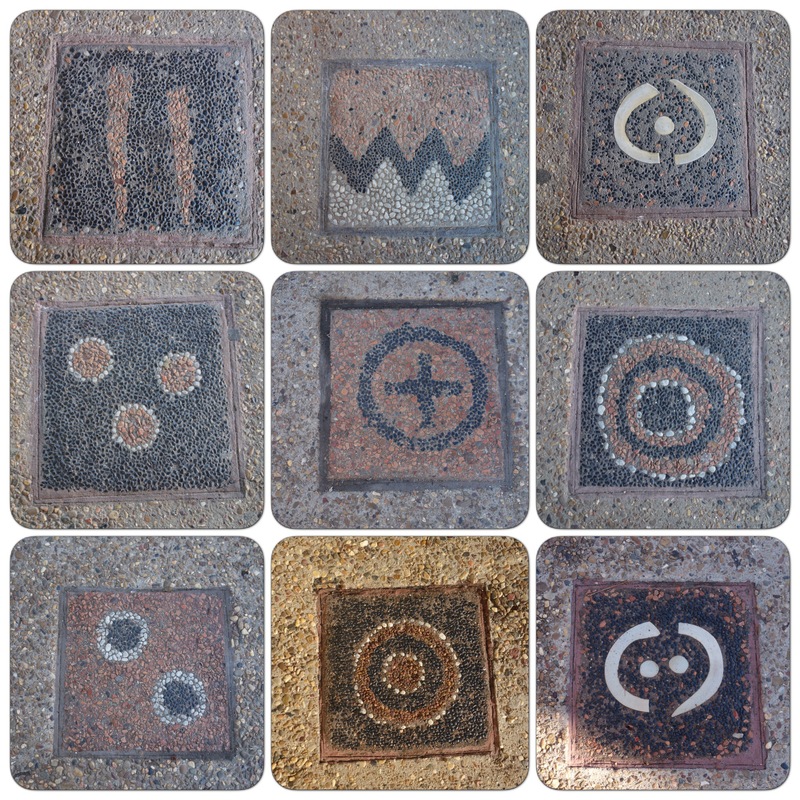 In Gulgong a local potter has made ceramic tiles which are inlaid in the footpath: they recall the symbols swaggies left for each other. “Dangerous people”; “good haystack for sleeping”; “money usually given here”; “dangerous drinking water”; “tell a pathetic story.” These signs are part of an international language used by gypsies and American hoboes as well as Australian swaggies. 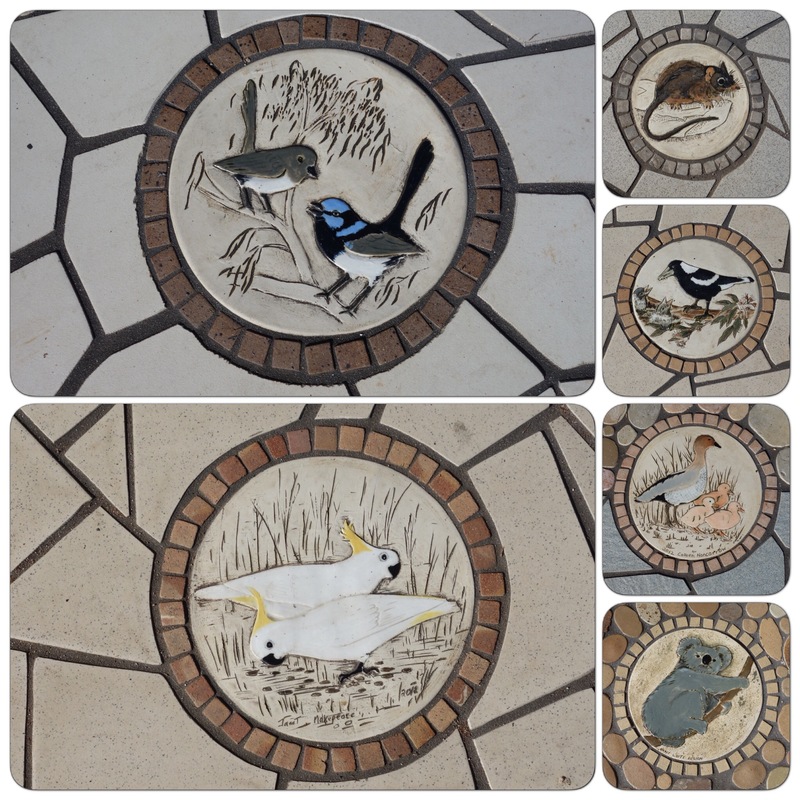 In Inverell, the MacIntyre River winds its way in mosaic along the footpath outside the Art Gallery, with images of the flowers, animals and insects you might find if you follow it in its watery manifestation. 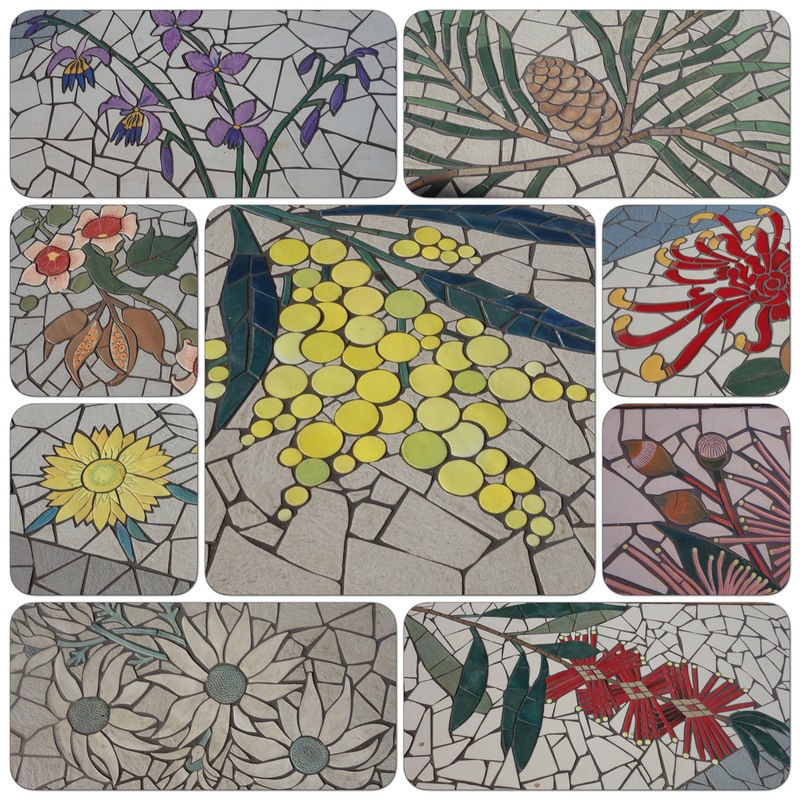 What wonderful little gems of detail available to decorate, inform and delight. 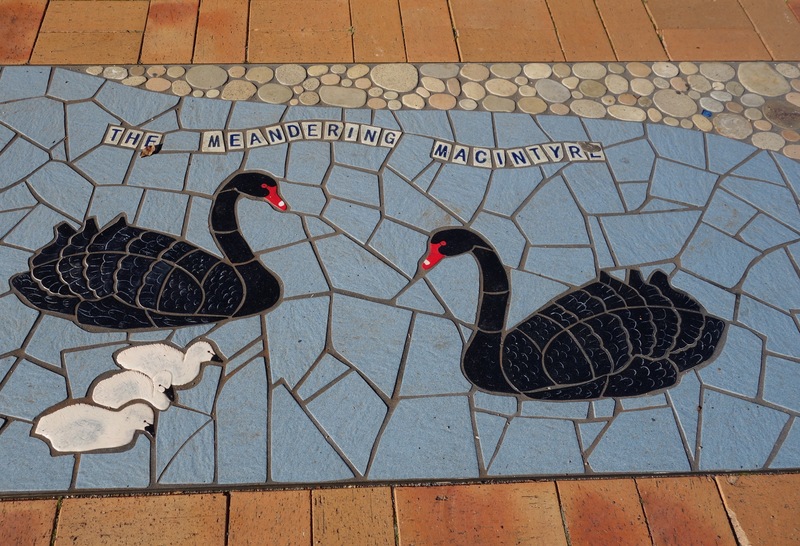 I particularly liked the swaggie message in the tile to tell a pathetic story. You’ve nailed it – decorate, inform and delight indeed. We’ve camped by the Macintyre – first time I saw callistemon with their feet well and truly in the water. 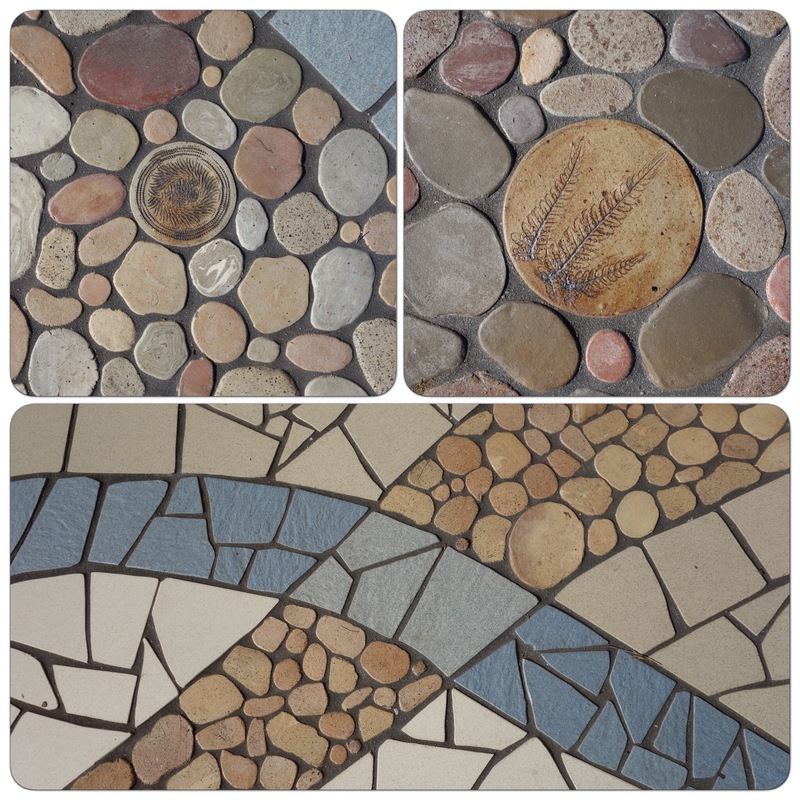 I love the mosaics, I clicked on some to look at them close up and see the depth of each, too… very pleasing texture too, by the look of them. 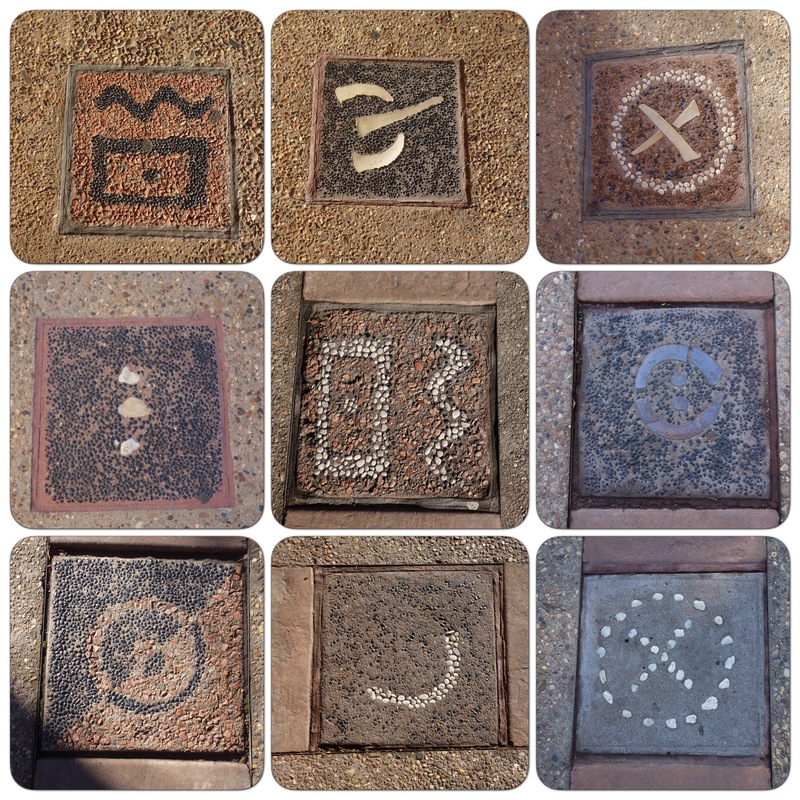 And the tiles at the top – look kind of runic. They do look runic: I hadn’t noted that. The texture of the river tiles was wonderful. 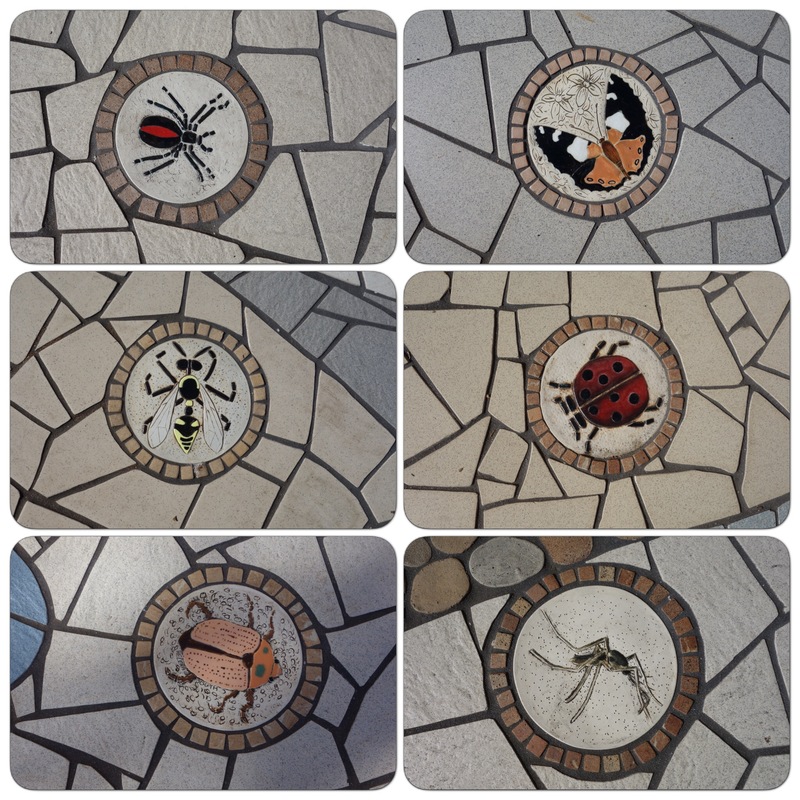 If these were under my feet they’d be right up my street, what a lovely find, what a great journey. I love your feel for words!!! I owe both these to the man who writes about Australian towns. Oh, and WordPress is playing tricks, I have to manually look for your posts. And I am surprised there were no comments from you on a couple of posts I have done with images of decaying cars in a forest…thought they would have been up your street! 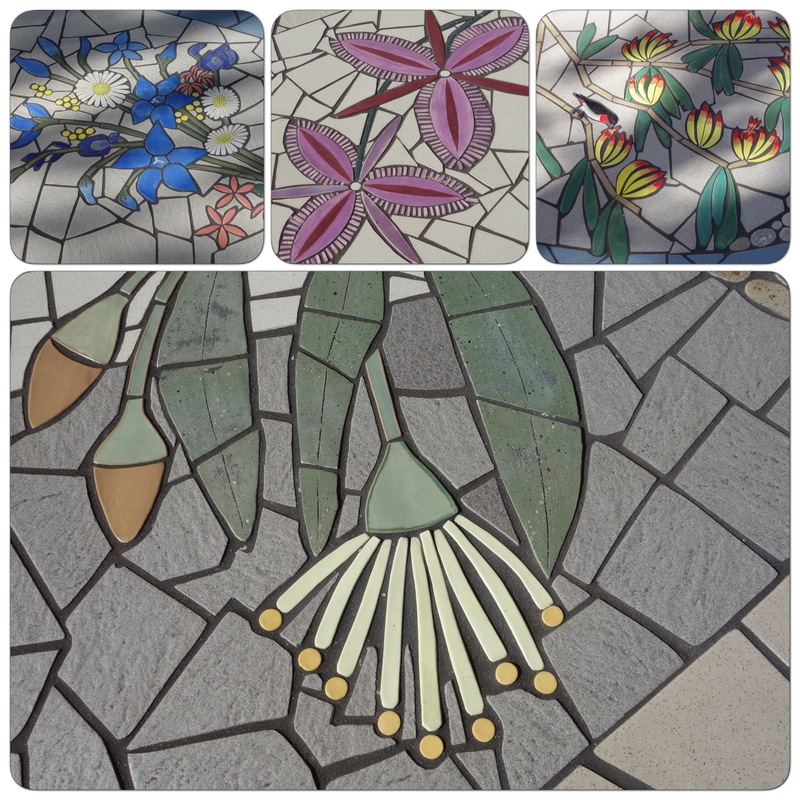 Love those Gulgong ceramic tiles and the mosaic at Inverell is nicely created! What treasures in unexpected places. The swaggie symbols looked a bit nondescript in the wilderness of the footpath, but individually they are quite beautiful. 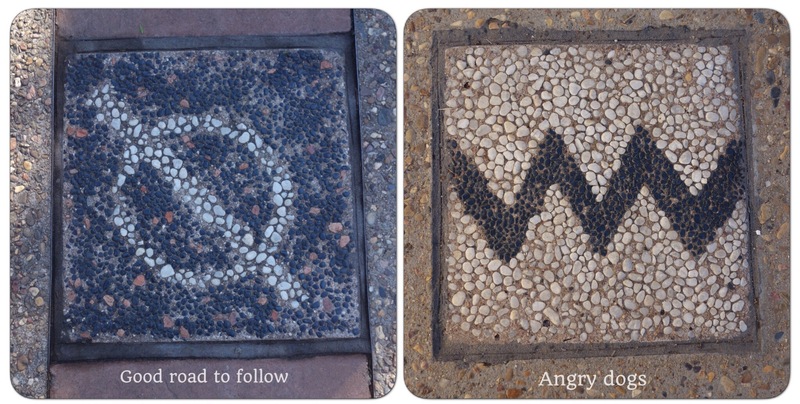 Apparently some are humorously placed – “dangerous drinking water” outside a pub for example.